OMG! This was a great weekend. 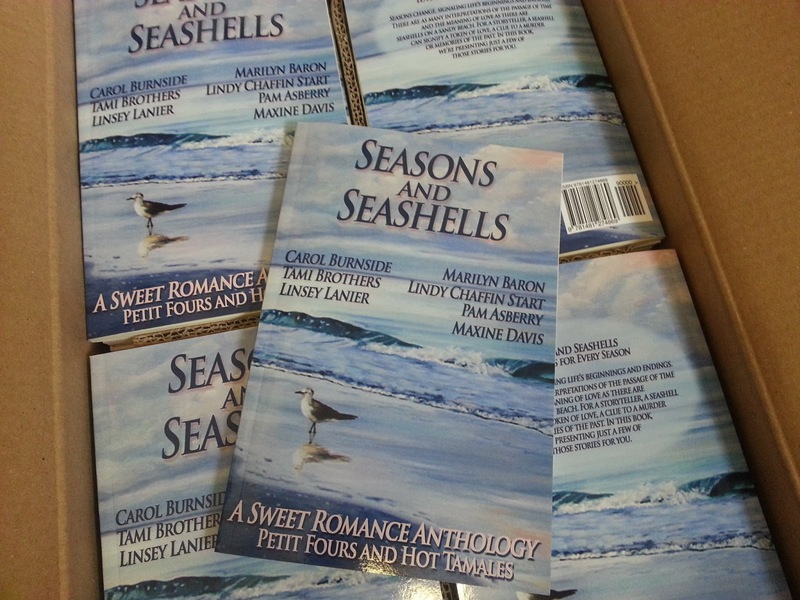 I attended a GRW (Georgia Romance Writers) meeting on Saturday and the coordinator for the anthology that I participated in brought our books. I could have kissed Linsey Lanier when she handed me my box. Seasons and Seashells is a free e-book download, but readers can now enjoy a print copy from Amazon for only $5.45. With my other books, Drool Worthy and In Her Wildest Dreams, I have only been able to hold a post card. So feeling the weight of an actual book in my hand is beyond my wildest imagination. Okay. Done gushing now. 🙂 Have a fabulous week. Thank you, ladies!!! This means a whole heck of a lot to me. And I appreciate you coming out to say YAY with me. I know how you feel because I’m one of the contributors to the anthology. And yes, it was so exciting to get our books on Saturday. Congratulations! I just sent a copy to my sister whose beautiful artwork is on the cover and to another reader who participated in and won one of our contests. Thanks a ton for stopping by and thanks to the Petit Fours and Hot Tamales for letting me continue to participate even though I am no longer a member of the blog. You ladies rock. Thanks Nastya!!! I know it will definitely happy for you. Best of luck with your writing.